We are a graphic and website design company with a passion for producing the best creative solutions for businesses big and small. We work hard to understand your needs and then deliver exactly what you are looking for. We have the skills and experience to help your business stand out from the crowd. We create beautifully crafted and unique identities that work across digital and print. We understand that your website is the window to the world. By combining great content, design and web production your customers will have an engaging and memorable user experience. Brochures are key marketing material for many businesses. We work with you to ensure that the message, content and visual style is on brand and works for your audience. Let our awesome PowerPoint and Keynote presentation design make your audience sit up and engage with your content. We will work with you to create a consistent visual experience across all your social media platforms. Our event design brings your brand to life visually, structurally and through all the supporting material. The blandest of design briefs will be transformed into stunning graphics and eye-catching visuals under Ian’s stewardship. If you’re ever unsure what you actually want, Ian possesses the experience and expertise to guide and assist you along the way. No job is too big or too small, Ian will always make time to ensure his clients never miss a deadline. Fantastic design agency, highly recommend them. As a business owner and also a Trustee of a charity I have briefed in two brand identity projects to Ian and his team. The results have been excellent; lots of very different ideas, cutting edge thinking yet still focused on making the brand work hard for the organisation rather than being creative for creativity’s sake. I am a super satisfied customer! Ian’s creative flair and his straightforward approach are the main reasons I asked him to create my website. His knack for putting things together in a professional, interesting and functional way creates a “feel good” factor for his clients. Feelgood do exactly as their name suggests. We had a difficult brief and wanted something conceptual and thought provoking for a complicated and vast subject. With enthusiasm and creativity Feelgood produced a campaign that packs a punch and stands us way ahead of the competition. You just have to take a look at the visuals and there’s an instant understanding of what we’re communicating. The output has been outstanding and has left my clients both internal and external feeling really good about our offering and the on going campaign. Working with Feelgood has been a really good experience. They are not just clever designers, they add another level of ambition to their design. If you’re looking for a design team to take you to the next level, look no further…. Ian (Feelgood Creative) is one of the most essential resources to our business. Since receiving our brand guidelines prior to our launch, he has built our brand around us and offered so much support along the way. Most notably, he is full of brilliant ideas and spends a lot of time and effort researching our industry to offer really spot on suggestions. He always works to deadlines (even when we have made them pretty tight!) and he’s always easy to reach when we need him. We look forward to a long and happy working relationship with Feelgood Creative. I have worked as a designer from Junior through to Creative Director. After 15 years working both agency and client side I took the step to set up Feelgood Creative in 2010. I now work with a wide range of great clients from startups to corporates delivering creative solutions for both print and online. I joined Feelgood Creative in 2017 as Web Designer whilst finishing my first year apprenticeship in Web Design & Social Media. My focus is on fine tuning my design skills whilst continuing my apprenticeship by moving to a Level 4 Software Development course. 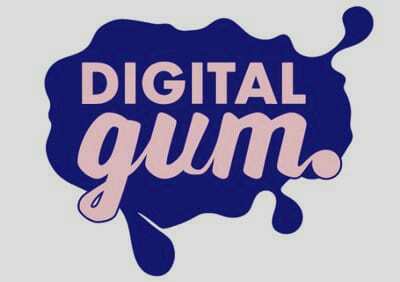 Digital Gum – Day One! Connect TVT case study on Luke our Web Design Apprentice. Feelgood is a creative agency specialising in digital and print design.